KAMPALA – The dfcu Bank board has announced that Friederich Christian Pelser will replace Mr Deepak Malik on the board. Mr Malik, the Chief Executive Officer of Arise Holdings Ltd, which is dfcu Bank’s biggest shareholder resigned from the latter’s board of directors three months ago, without giving reasons for his sudden action. 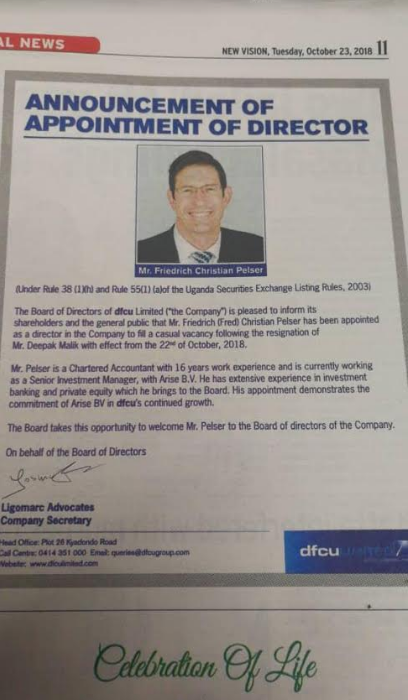 In a notice published by dfcu Bank attorneys Ligormac Advocates on Tuesday October 22, the board welcomed Mr Pelsey, an accountant of 16 years experience. “He has extensive experience in investment banking and private equity, which he brings to the board” the notice says. Mr. Pelsey replaces Mr Malik who resigned from the board on July 5. “I will be available as an advisor of the Chairpersons of the Dfcu bank and dfcu Limited respectively,” Mr Malik, whose resignation the dfcu had earlier denied, wrote. 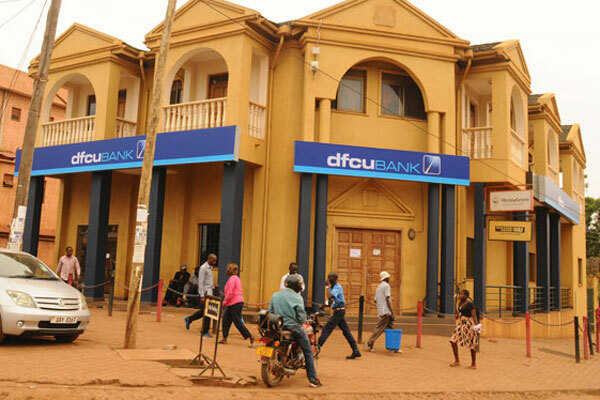 dfcu, later in an internal memo served through an advocate in Septemmber, confirmed that Mr Malik ceased being a member of the board on September 21, 2018, confirming earlier reports that the bank, which has been a subject of controversy ever since they took over assets of Crane Bank a year or so ago, continues to revel in problems post-takeover.